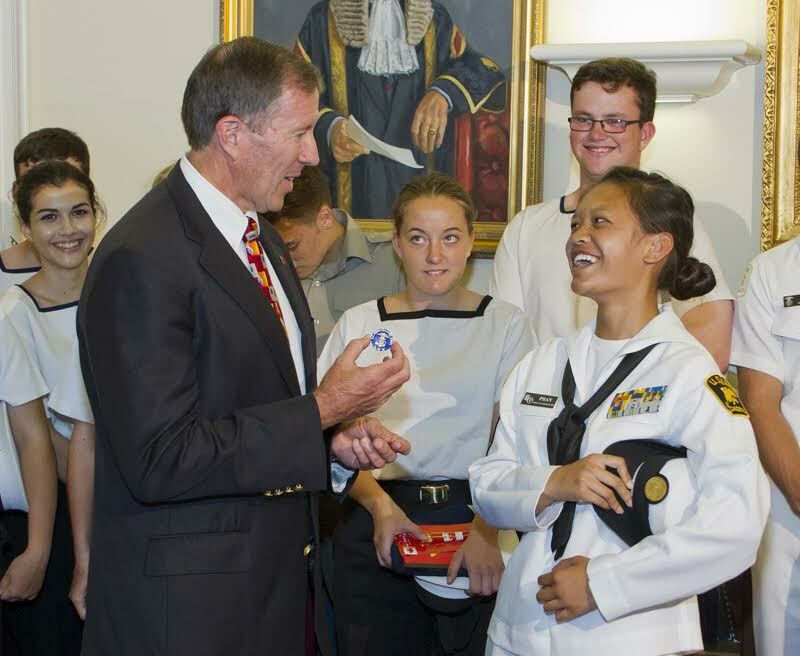 Yesterday [July 6], the Premier and Minister of National Security Michael Dunkley welcomed Commanding Officer Lt [SCC] Michael Frith and members of the Bermuda Sea Cadets to the Cabinet Office. 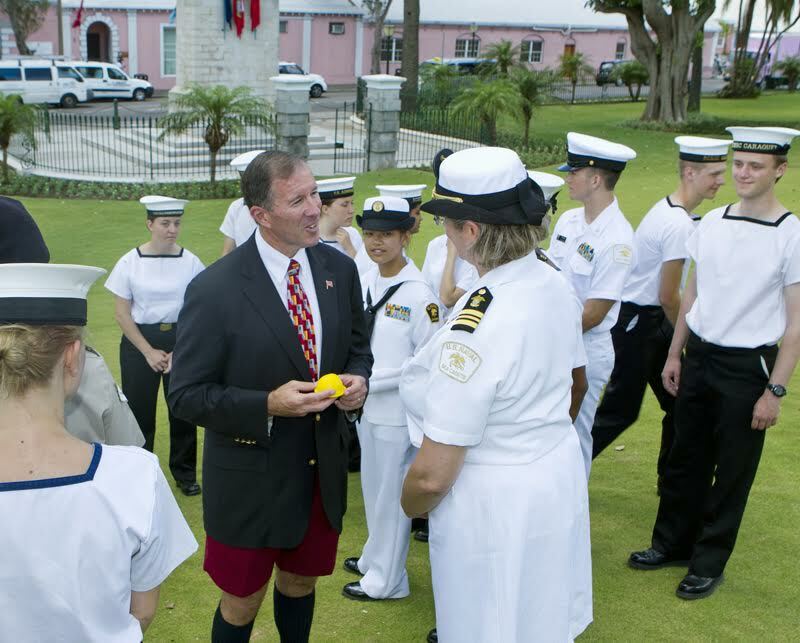 On an annual basis, the Bermuda Sea Cadets participate in a cultural exchange programme, by welcoming other youngsters from the US, UK and Canada. 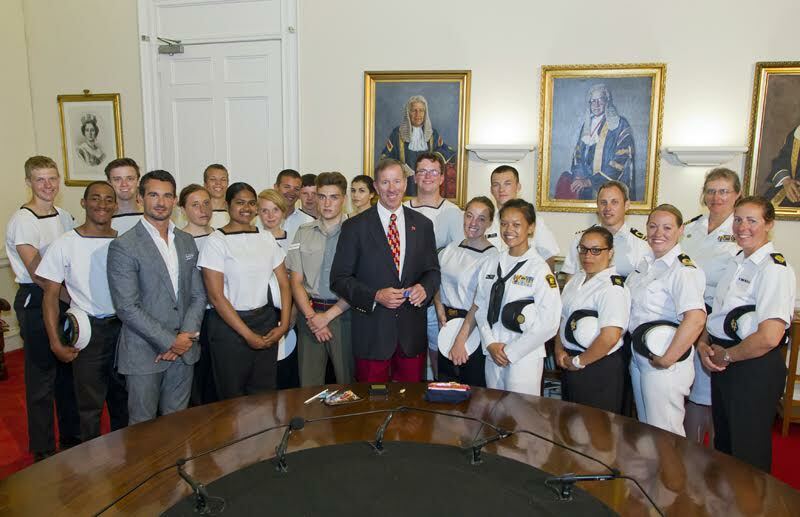 This year Bermuda welcomed 12 cadets from the participating regions. Bermuda also sends its cadets to the US, UK and Canada for training and development as part of the exchange programme. Premier Dunkley said of the initiative, “This is one such international exchange programme that truly benefits our young people and in a changing world exchanges like this are invaluable. “During their visit yesterday, I applauded them for getting involved while they are young in such initiatives that provide a good foundation for building character and leadership. During their visit the cadets will also tour Gibbs Hill lighthouse, BIOS, the Aquarium, and visit Dockyard to see America’s Cup Team Oracle. Was wondering when will be the next photo opp, never ceases to disappoint.